A New York State driver’s license can get suspended for a number of reasons. It is crucial to know what a license suspension is and the most common ways in which your New York driver’s license can be suspended. Have a question about your suspended license? Post a comment at the bottom of this page and we will get back to you as soon as we can or call 888-883-5529 now to speak to an attorney. Discovering that you have a suspended or revoked license in NY can be devastating. Imagine losing your ability to drive, even for just a few weeks. You would need to rely on others to get you everywhere you needed to go. Aside from making your life inconvenient, you could lose your job. A suspension can also prevent you from getting a job in the first place. Remember, it is quite common for people to think that once their license is suspended they are at a “dead end” and cannot do anything about it. However, in most cases that is simply untrue! A skilled suspended license attorney can help you avoid a license suspension altogether as well as get your driving privileges restored if they already were suspended. What Does it Mean if Your NY License is Suspended? A license suspension is, by definition, temporary and your license will be available to be reinstated after a specified time period. That period could be a fixed amount of time (known as a definite suspension) or based on certain conditions (an indefinite suspension). If you’ve received a suspension of any kind, the DMV will send a notice by mail to the address on the license (that’s one reason it’s important to notify DMV if your address changes). The notice will include the reason for the suspension. For a definite suspension, the notice will state the start and end date of the suspension. For an indefinite suspension, the DMV will note what needs to be done to reinstate the license. You can also find out about a license suspension by going to http://My.DMV.NY.gov. Register or login using existing credentials, then click “Restore My Driving Privileges” from the main menu. What Causes a Suspended License? The following are just a few of the most common reasons why your driver’s license could be suspended. Under VTL 319, all cars in New York must be properly insured. A conviction for driving without insurance is extremely serious. You can lose your license for up to 1 year, incur a fine of up to $1,500, and go to jail for up to 15 days. If you are found guilty of DUI/DWI in New York, your driving privileges will be suspended. Depending on what level your blood alcohol content (BAC) was and whether you are a first-time or repeat offender will determine how long the license suspension will last. If your BAC level is above 0.18%, you will likely be charged with Aggravated Driving While Intoxicated. If convicted, your license will be suspended for 1 year. If your blood alcohol content (BAC) is over 0.08% but under 0.18%, you can be charged with Driving While Intoxicated (DWI). If convicted, your license will be suspended for 6 months. If you are convicted of Driving While Ability Impaired (DWAI), your license will be suspended for 90 days. DWAI is usually issued to motorists who are high while driving and/or the testing indicates that they are impaired below the limit of .08. A second DWAI conviction within 5 years of your first could cause your license to be suspended for 6 months. In New York, if you receive 11 or more points within 18 months, your license will be suspended. Remember, moving violations have set point values, and the more moving violations you commit, the closer you will be to a suspension on your driving record. Think about it: Getting convicted for talking on a cell phone (a 5 point ticket) while driving 21 MPH over (a 6 point ticket) will cause your license to be suspended. How many New Yorkers do this on the Thruway daily? The difference between revoked license and a suspended license is that a revocation means your license has been cancelled. Like a suspension, there is a revocation period – usually a year or more — where you will be unable to drive. Unlike with a suspension, however, when the revocation period ends you will have to re-apply for a new license. In most cases, you’ll have to request permission from the DMV before you apply and the DMV may require you to take the written and/or driving test again (and pay all the associated fees). There is also a chance your request will be denied. Are convicted of multiple DWI infractions. In some cases, a suspended license can be reinstated simply by paying a fee or fine. However, in many cases you will need an attorney to help negotiate the conditions for reinstatement, reduce the fees, or even fight the underlying reason for the suspension. Reinstating a revoked license is typically more complicated and will almost certainly require the aid of an attorney. Go to our page on How to Reinstate a Suspended License in NY reinstating a suspended license for more information. If you or a loved one has had your license suspended or revoked, don’t panic! With the help of a skilled attorney, you may be able to remove or mitigate the consequences. 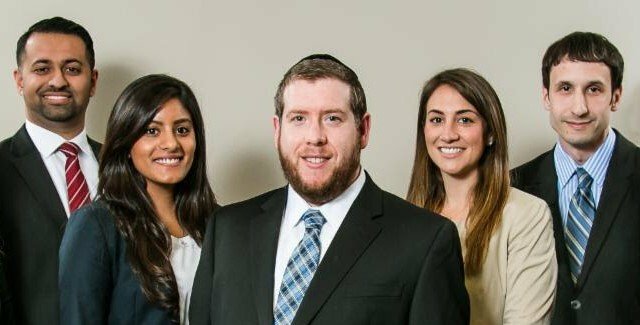 Call the Rosenblum Law Firm at 888-203-2619 to schedule a free consultation with one of our attorneys to find out how we can help you. My boyfriend and father of my children was just notified yesterday that his license has been revoked for a whole year, starting February 16th. He has a NY state license however, he was in Miami because me and his two sons live here. He paid over $2000 in unpaid tickets in January and despite paying, they still took away his license. I’m not sure if anything can be done or if he would need to fly back in order to handle this but any advice would be great. Thank you. Hello Andrea and thank you for reaching out. In order to provide you with further information, I would suggest contacting our firm directly. Please feel free to contact our law firm at 888-883-5529. Hello, my license was suspended and revoked in 1989 for unpaid tickets like speeding. I was a teenager without a job and never took care of the problem, I also left the country for about 8 years and returned but to Florida and now need a license how can I fix this problem? Assuming your license is suspended and not revoked, you must first pay off all of the fines associated with the ticket, and thereafter pay any suspension termination fee. Hi, I was pulled over in July 2017 for dwi and arrested. When I was stopped I had a Jamaican drivers license as my Florida one though on my person had expired in February. I’m a temporary visitor with pending immigration status. I’ve been on Tasc probation since June of this year. I asked my probation officer if I could get a license and would I need a letter she said no just go ahead and apply. They asked have I had a license before I presented my florida license and they suggested transferring as it was within the 2 year period of expiring. Eventually they said it couldn’t be done I needed to get a new license; I took the test, provided all required documents and was issued a permit. Did the prelicensing course and my road test and was certainly sent a drivers license in the mail back in October. Now on dec 13th I received a letter to say my license is suspended/revoked. When I called they told me they had two files and now that they’re merged no license and I should’ve known. The lady was rude to say the least. She also stated that this happens quite often, is there anything I can do about this? Gia – Due to the serious nature of these offenses, along with the complex situation you are currently in, I would urge you to contact our office to discuss further. I had my license revoked in 2014 because I was driving with a suspended license and I left the scene of an accident.my license was suspended because I owe more than $10000 in ny state taxes.moved to Florida in may?. Need help to obtain my florida license.i just want to clear my revoked license. Can you help? Howard – what was the reason for the revocation in NY? Hi, on my way home from work I was pulled over by a police officer and was given three summons, one for going through a red light , one for passing someone on the right and one for having a portable electronic device in my hand. The passing someone on the right, I had a cab in front of me and he put his left signal on to turn left, as I was passing him he decided he didn’t want to turn left and shut his signal off and went straight, which is why from where the officer was parked, it looked like I was just passing him up on the left all while this was happening the light changed from yellow to red so fast and I got a summons for that too. Alyssa – We strongly suggest contesting this ticket due to the substantial amount of points, fines, and insurance implications. You may contact us for a free consultation at 888-883-5529. Kristal – In order to provide you with advice, I require additional information as to the exact charge of the tickets, and their current status. My girlfriend at the time took my car that was in storage without insurance and was involved in an accident in 2004. I moved to Texas in 2008 and new York state has revoked my license so I cant get one in texas. Is there anything i can do? What is the reason behind the revocation? I would advise you to contact us at 888-883-5529 to discuss further, as there can be multiple outstanding issues on your driving record. I was pulled over for speeding (72 in a 55). I did not even notice the officer on the side of the road. After the usual “do you know why I pulled you over?” and license, registration, etc., he stated he was going to write me a ticket for failure to obey a traffic control device and that he was “doing me a favor” with this. I asked him if or how many points were associated, and he stated 0.5 points. I now realize this is untrue. I asked him if I could plead not guilty, and he stated that if I did this, he would come into court when I went with his original charge, so I had better take the plea he had just given me. This is on a rural country highway, so I’m sure there are no body cams, probably just dash cams with no sound– essentially, my word against his. The only thing I did do to indicate anything was “off” on my guilty plea was to indicate that I was pleading guilty because I was “required.” I used just that one word. I realize that telling me my points would be 0.5 was not legal, but that ends up in a he said/she said. But honestly, had I realized the points for failure to obey a traffic control device were 3, rather than the 4 for the speeding, I would have taken my chances with entering a not guilty plea as it likely would have gone down to 2 points or less. Can I or should I change my plea? Wait for the judgement papers to come? Any insight? This was out and out intimidation, but unlikely to be able to be proven. Obviously I need a lawyer if I’m going to fight any of this, but is fighting it even possible now? If you would like to rescind your previously entered guilty plea, a motion must be filed with the court. We would be happy to provide assistance on filing this motion which we generally recommend pursuing. My license was revoked in new york by the court for 1 year because of multiple driving under the influence tickets. Then the dmv added 6 months. It has now been 26 months and I’ve done all court requirements and still have been denied. I have moved to North Carolina and started a business and would like to be able to get a license here but I there’s an interstate data base. What can I do? Due to the serious consequences of these incidents, please contact us at 888-883-5529. We would like to discuss the specific dates of these offenses in order to provide you with accurate information. I apparently have 3 suspensions due to not paying tickets. Do I need a lawyer and do I have to pay 3 separate suspensions? Gregory – Please provide further information on these suspensions, specifically, why they were issued. Whether hiring an attorney will be beneficial to you will depend upon why you were suspended. Hi, I was stopped today (not sure why, not speeding) and trooper comes to my window and asks my name then says I have a suspended drivers license. I ask her suspended for what? she comes back and says it’s a failure to appear 2 years ago for a speeding ticket. I vaguely remember one, but really? They can suspend my license for one ticket? other than that one, I haven’t had a ticket in 10 or more years, I have a clean driving record. Help! Failure to answer or pay a ticket can result in license suspension. Driving with a suspended license is a misdemeanor offense in NY. What offense were you specifically charged with after being stopped? Victor – what are the charges against you? I was suspended in June on a DWAI conviction. In July I applied for a non-driver ID card, now my abstract is showing my license is surrendered. Will this affect my license suspension termination in anyway? Tomorrow is 90 days, and I will have meet all other requirements for discharge. I’m worried that getting the non-driver ID may require me to re-license, which will kick off a 25 year lookback (I had 2 convictions in the 90’s). DMV never informed me of any issue I may have when getting the non-driver ID – I’m very worried about anything going wrong as my job is dependent on a license. My son received a NY drivers license suspension notice (90 days) due to possession of a fake license (he was 20 at the time, just turned 21). Since this was his first time caught with a fake license the DMV is suspending the license for “ony” 90 days. Is there a way to fight this? In order to properly advise you of the options, I suggest you contact my office to clarify the facts surrounding the summons your son received. I have 12 pints pending on my record as of March 2017. The 12 pts were the result of 2 traffic stops in total. On the 18th of June this year I received another 5 or 6 pts for Operating Motor Vehicle while using Mobile Device. I am a resident of NYS and will most likely face as suspension. My question is how long will my suspension be? I am a college student and work 3 jobs, will this give me any reasons to receive a conditional license for the time being? Denis, In the state of New York once you reach the 11 point mark you are suspended. You may go to the DMV and apply for a restricted use license. Keep in mind it is up to the DMV on whether or not they want to issue it to you. Oscar – In order to advise further, please provide the location of these incidents. I have a valid New Jersey Drivers license however I also have a New York State IDENTIFICATION card with my New Jersey Address on it. I was required to get a new york state ID because I was in a construction union and NY state ID was required for my certifications. I am not a resident of NY State. I was pulled over earlier this week and I was told by the police officer that my NY State drivers license was suspended. I told the officer I do not have a NY state drivers license. The officer said that he CREATED a NY state drivers license based on my NY state ID. Now I have a court date and have to go to the DMV. I did a search on the NYS DMV website which said I have no suspensions and I also checked my NJ state license. Nothing is suspended. Is it legal for police officers to CREATE a drivers license for someone if they’ve never had a license in that state? Mr. Flechas – I have not heard of a situation such as yours before. I suggest you contact me at 888-883-5529 so we may discuss in further detail. Even if you are license in NJ, you do have a ‘driving record’ from NY. This, may, be what the officer was referring to. I just found out my license is suspended because my insurance lapsed. I had applied for a new policy for my vehicles and they said it was suspended. I phoned the DMV and of course she was rude, but stated I have to serve everyday the plates were not turned in. I have not been able to drive since July of 2016, due a medication. I did not realize I had to return plates. What can I do? Shanon – you should contact the DMV and inquire about the possibility of obtaining a restricted license until your privileges are fully restored. Hi, I had a speeding ticket conviction on 2/24/14. It’s past the 3 years from the date but it’s still showing on my license. I read that it won’t come off until the January after the 3 years. Is there any way to get it cleared off? I’m out of work and it’s hard to get a job driving trucks because my license doesn’t show up clean. Ernest, points do not ‘come off’ your driving record after 3 years. You may not receive 11 points in any 18 month window of time, as you will then be suspended. Additionally, added penalties are assessed based on point accumulation within this 18 month period of time. For your purposes, however, the issue will truly be how extensive of an abstract your potential employer requires. Hello, I lost my job 3 years ago and was out of work for approximately one year, I fell behind on my child support, They suspended my license, I am back to work and have been making DOUBLE weekly payments for a solid 18 months to get caught up, I have written social services about getting my license back so I can get to work and continue making payments, they just won’t work with me. Can you help with this..?? I suggest that you contact the DMV and ask whether a restricted license is possible. i received an unlicensed operator ticket in NYC (from a NYS trooper – based on license plat reader at RFK bridge) . had no idea what it was. went to DMV to discover that when i bought new car year ago and transferred plates and insurance, the insurance clerk accidentally typed in 2015 instead of 2016 for noting the termination date of insurance under my old vehicle..which then created in the system a retroactive status that i was driving “uninsured” and license apparently was suspended. I called insurer and they corrected with DMV…and driving status was fixed…is there a more efficient way to handle this ticket other than waiting until december for a no-guilty hearing and even then who knows what happens? From the information you have provided, I believe the most efficient way of handling this issue is by attending the court hearing. I suggest you contact my office as I would like to clarify a few facts surrounding this ticket. A while ago, I got a ticket for going 29 mph over the limit. This is my first ever offense and I am above 18 in nys. Is there any way that the judge can just take away my license in the courtroom? Michael – generally speaking, a judge will not suspend a license because of a 6 point ticket, although they are provided substantial discretion with respect to penalties. There is any way to reduce a 6 months revocation time?for 3 speeding tickets? Massimo – You should contact the DMV about a potential for a temporary license. HELP! I just got three tickects in the bronx on the 28th of this month. 1, doing 75mph on a 55mph. 2, driving without insurance. 3, driving an unregistered car. I had purchased the car at an auction inWisconsin a day prior and the title wasn’t going to be ready until five days after but I had the purchase receipt from the the auction company. My title comes in the mail next week, can I use it to plead not guilty for the unregistered car ticket? Will my license be suspended whether or not I decide to just pay all three fines? I am in the Military and I had to be back in NYC to get stuff done on base by the 29th which was why I decided to drive the car without all the paperwork. And the auction guys told me to just show the police my purchase receipt if I get pulled over and they will understand. What are my options please. Charles, due to the serious nature of this offense, I suggest you contact us for a free consultation at 888-883-5529. I would also like to clarify whether you had insurance on the car at the time of the stop. My license was revoked .. It was a restricted license for work only. I got a ticket for a moving violation (turning left in a no-left) and that caused the revocation. How can I get the restricted license back so i can use it for work. John – I would advise you to contact the DMV for your answer. I have a CT licence and realized today that there was suspension in NY on my licence since 2009 for failure to pay DRA which I didn’t even know it existed until today. I have immediately gone through DMV records and paid up the amount that was showing as due and have payment confirmation. What else do I need to do to get the suspension removed and how can I monitor that suspension has been removed. I suggest you contact the DMV, as they will be able to further assist you in this matter. In 2015 my license was suspended twice for failure to pay assesment fee. I never recieved any letters in the mail warning of suspension or else I would have paid it. Now it’s a year later and all the jobs I want to get are refusing me. Is there any way I can get the suspensions removed. Hesham – you should contact the court in order to pay both your assessment fee, and suspension termination fees. That should clear up any issues you are facing. My license is to be suspended on 12/19/16 for 12 points on my license. If I go for a restricted license, after my 30 day suspension is up are those points cleared then? All were within 18 moths from the guilty one of 11/4/14. But I do have a speeding ticket from 04/2016 that has a court date of 05/2017. Can that ticket suspend my license again? My license was suspended I think bc I didn’t show up for a seat belt hearing in Queens. They said I owed $240 from 2012. Can I call with a cc z? Please tell me what U need to do. Carole – Your driving privileges can be suspended for failure to appear in court. I suggest you contact us to discuss your options. You can reach us at 888-883-5529. Fines for unpaid tickets are expected to be paid in full, however, the DRA (Driver’s Responsibility Assessment) can be paid in three installments over the next three years. Hem – Please clarify your question. Are you facing new charges? Hi. I got suspension or revocation order for 3 speeding tickets I have lost in court. I am a limo driver. Only working person in family of 7. Is there any way to fight this order? I am a very experienced driver with over 1.5 million miles. Never had any accidents or serious violations. I am sorry to hear about your situation. How exactly can we help you? I received a ticket for driving without insurance. I did not realize the insurance lapsed at the time. Is there any hope of me keeping my license? I’m a f/t nurse, student and mother of a 4y.o. I have no other way to get around liVing in Suffolk County and cannot afford to lose my license. Hi Chantell, having a lapsed insurance is a big deal in NY. You could possibly face 15 days in jail. A fine maximum of $1500 and a revoked license of 1 year. Please contact our office for a free consultation to find out what your options are with disputing this type of ticket. We could be reached at 888-883-5529. Fernando – due to the serious nature of this offense, I strongly suggest you contact us to discuss further. I am writing for my husband, whose driver’s license will be suspended on February 19,2016, due to no insurance. We are retired residents in New York City and the car is owned by our god daughter, who resides in Mt. Vernon. She purchased the car, but asked my husband to insure the car in his name. He did not realize that once you insure a car in your name, the car is also registered in your name. Suffice to say, she allowed the insurance to lapse,without informing us. My question is how can my husband remove his game from the registration and insurance without my god daughter?. We cannot find her, and she is not responding to our calls/texts. Or, how can my husband reinstate his license without access to the plates and registration ? Thanking you in advance. I suggest you contact the NY DMV to obtain this information. I found out my license was suspended about 8 years ago , i never got to pay the ticket because i didnt have the money for it . Now i want to fix my license but its over a thousand dollars , can it be reduced , plus i have point on my license . What can i do to fix it ? I suggest you contact the court where the incident arose – they will be able to advise you of your options for paying off this ticket. Ok. 4 yrs ago my boyfriend was pulled over in my car, forfailure to stop at a stop sign. At that point he was told that he had a suspended license. long story short, he was then ticketed for driving with a suspended licence and no inspection. He never went to court to address this. Could you please tell me the consequences for this and what he can do to fix it? Your boyfriend should contact the DMV to determine the status of his license, and what court was handling his initial charge. After obtaining this information, you may contact us to discuss further. I need clarification on the current outstanding charges so I may be able to provide you with the correct information. I believe my license is suspended due to unpaid parking tickets on a truck that I used to own. I have been out of work and could not afford it then as well as now. I am willing to do community service if I have to so I can clear my license. There have been some doors opening up and my license being suspended is definitely holding me back. I don’t know what to do or where to go so I’m asking you for some kind of assistance or help. Please get back to me if you have the chance. If I don’t hear from you, thank you for your time & have a blessed holiday. I suggest you contact the DMV to determine what violations are currently outstanding. If these are no-point violations, you should consider contacting the courts and arranging payment. I recently had an accident in august in which I received 6 points. And just received a speeding ticket today 23 mph above speed limit, worth 6 or + if I plea guilty. I really depend on my licence for work and school. Is their anyway I can get out of getting my license suspended? Ben – you may fight your ticket to mitigate / avoid the consequences. We would be happy to give you information specific to your case – you may contact us to discuss at 888-883-5529. I want to correct my suspended license but Im not sure when it was suspended. I know I got a ticket in july of of last year, but I misplaced it and I forgot to pay it. I tried to pay the fees online, but it says I have to go to the courthouse to correct it. I am worried since it has been over a year of suspension I will be in serious trouble. how can I correct this as soon as possible? please advise. Kristi – I suggest you contact the court to arrange to have the penalties resolved. If you do not recall the location of your infraction, you may contact the DMV. my license will be suspended on 11/17/2015. If this happens, i wont be able to work. i’m currently taking a defensive driving course, but its telling me that if my license is going to be suspended because of 3 speeding violations within 18 months, there’s nothing i can do. is this true? i need to have this resolved so im not prevented from going to work. In order to prevent a license suspension, you must prevent at least one of these 3 speeding violations from being placed againstyour record. Gin – please provide us additional information -specifically, the location of these occurrences. I got in a year suspended driver license from child support and 24 points and How long will take to remove points from my.license ? You are not allowed to accumulate 11 points in any 18 month period. Hope U can help. Got a DUI in 2011 in Florida. All the legal stuff was done. The only thing not completed was the counseling which is separate from the legal requirements. I moved to New York. I got a NY State non-driver’s ID. I have been trying to get my license in New York. New York told me to call Tallahassee. Tallahassee says I have to get my license reinstated in Florida. I DON’T LIVE IN FLORIDA anymore. Can they demand I become homeless in Florida just so I can get my driver’s license???? Please help. I’m trying to do the right thing, but it’s like the deck is stacked against me. Tyler – I suggest you contact an attorney licensed in Florida to assist you in resolving any outstanding issues there. I recently learned my license was suspended when my husband added me to his car insurance. When I looked into the matter, I found out that Nassau county clerk office is responsible and claims I had 2 tickets from 2005. It says operating without insurance and another opporating without a license. I do recall paying a relapse of insurance around that time but do not recall this. I also got a lawyer to help with a speeding ticket which they were able to get charges reduced and I paid fines etc. it’s been 10 years and I haven’t had issues. I also had my license expire and got it reinstated with non of this 10 year old tickets coming up. Are you able to help? Thanks and looking forward to hearing from you. Dani – the first thing you need to do is contact the DMV and obtain a detailed abstract to determine what outstanding issues remain against your license. You should also contact the court and request a copy of the outstanding violations against you. When you have these documents, you may contact us – we will be happy to advise you accordingly. I have a NJ driver’s license and recently received 2 tickets in NY totaling 11 points. I have to appear at the TVB. What is the likelihood my license will be suspended and for how long? Will hiring an attorney reduce the chances? Will my driving privileges in be suspended only in NY? I work in NY and drive to and from work everyday so this would have a significant impact. Jessica – Please be advised of the following: a) The TVB is a very difficult court system to navigate, b) There is no plea bargaining here, c) A license suspension in NY can cause your license to become suspended in NJ – the term of suspension is often at the discretion of the Judge, d) Hiring an experienced attorney will greatly increase your chances of success. My license is revoked and I have many default (old convictions) I need to pay and clear up. I need my license for work and must reapply but clear all the fines before I can do this. Is it possible to reduce these fines, the civil penalties…anything at all. These are there so long for no other reason other than I could not afford it at the time. I wish to clear this now, but I need to somehow reduce these charges/fines. Is there any hope at all to reduce? There are approximately 8-10 old tickets dating back to 2000-2001. Thank you. I suggest you contact us to discuss your situation. We need some more specific details to be able to advise you. Hey I recently received a tv ticket for going 43 mph over the speed limit. How much of a fine am I facing and can I take a defensive driving course to prevent a suspension? Please contact us to discuss – as we need to know which court is handling this ticket. Generally speaking – your fine & assessment charges will be in excess of $1,300.00. A defensive driving course is an option we would like to discuss in further detail with you. I got a ticket in NY (nassau county, if I remember correctly) years ago and I no longer live in NY. I live in Vegas. Found out my license there was suspended, therefore the license I have now (from CA) was withdrawn and isn’t valid. You need to clear up the underlying reason for the suspension to have your license reinstated.